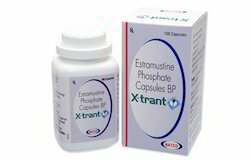 Leading Exporter of etoricoxib tablets, thalidomide capsules and estramustine phosphate capsules bp from Nagpur. 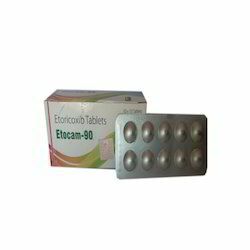 Etoricoxib is a medicine called a non-steroidal anti-inflammatory drug. It is also known as an 'NSAID'. About etoricoxib tablets Anti-inflammatory painkillers like etoricoxib are sometimes called non-steroidal anti-inflammatory drugs (NSAIDs), or just 'anti-inflammatories'. 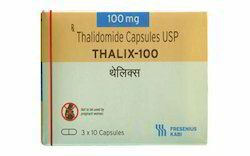 Our research of the latest industry allows us to offer a wide collection of Thalidomide Capsules. It is formulated by considering high grade input factors by a team of dexterous professionals with the help of modern equipment’s. These products are used to treat multiple myeloma in patients. We offer this product in different packaging options and at reasonable rates to suit patron’s budget constraints. Customers can avail these products from us in promised time frame. AVAILABLE AS:50 mg, 100 mg & 200 mg capsules. MANUFACTURE BY:Fresenius Kabi Oncology Ltd. Looking for Pain Reliever Capsules ?